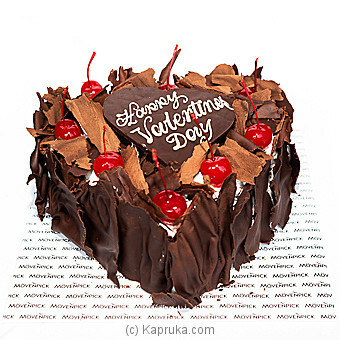 This mouth-watering Black forest chocolate sponge cake made with German ingredients, sandwiched with red cherry pie filling and whipped cream is perfect to send to your special someone on this valentine! Treat someone special in your world with the cakes which are made using the finest fresh ingredients by the experts at Movenpick Hotel. These incredible, delightful, and high-quality cakes are carefully hand packed in an attractive gift box with your personal message. This is a perfect gift for any occasion. The irresistible taste, the uniqueness, the exquisite brand name are combined in the mastery of Movenpick cakes. Kapruka in collaboration with Movenpick Hotel offers you a variety of choice in gifting the best cakes for best prices.